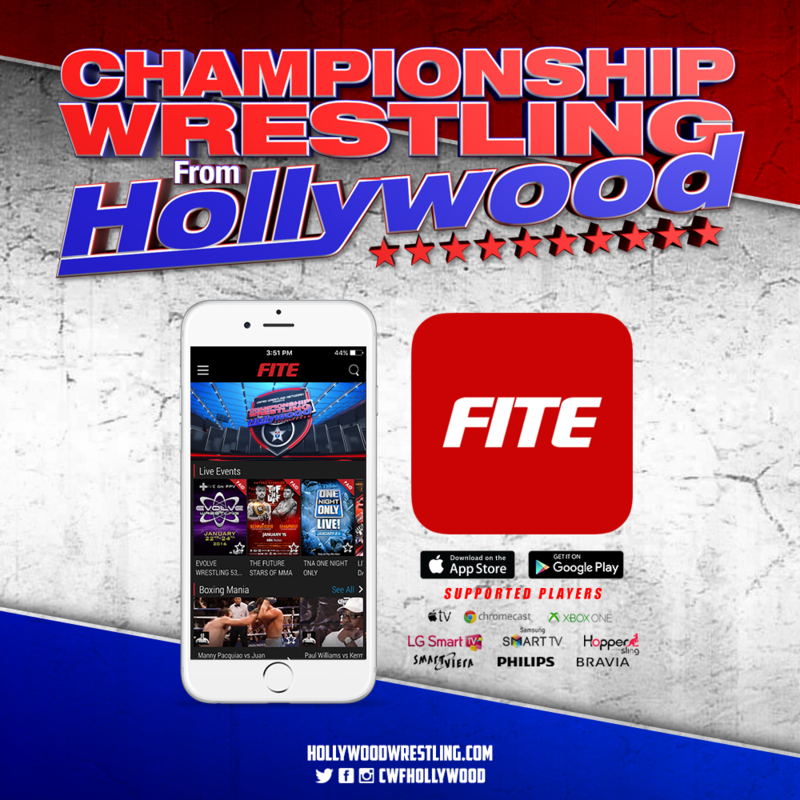 Championship Wrestling From Hollywood (CWFH) the United Wrestling Network flagship broadcast has entered into an agreement with FITE TV to stream its television program via the mobile app. Every Tuesday, FITE TV users will be able to watch CWFH’s weekly television show through the app, which allows fans to connect to their TV via Apple TV, Chromecast, Xbox One, DISH Hopper, and SmartTVs by Samsung, Sony, Panasonic, LG, Phillips, and Sharp. CWFH’s weekly television show airs Saturdays at 4PM on KDOC Los Angeles and nationally at 12AM EST/9PM PST on Youtoo America, more info can be found at https://www.hollywoodwrestling.com/television-schedule. FITE is born out of our passion for fighting sports as well as our frustration of huddling over the small screen. At FITE, we believe that watching fighting shows on the big screen of your TV, or your friend’s TV, or any TV that’s WiFi connected, should be as simple as switching the TV channel. So here’s FITE, the cross section of entertainment and technology and your home for everything that happens on the mat and between the ropes. Just open the app and it will automatically connect with your smart TV. All you need to do is choose a video and tap play. FITE is available as a free download from iTunes and Google Play. This month Championship Wrestling from Hollywood (CWFH) is celebrating 5 years and 226 original broadcast hours on KDOC-TV Los Angeles and to help commemorate this milestone, the program will be moving to a new time. Starting Saturday October 3, 2015 CWFH can be seen at 4:00 PM on KDOC-TV. CWFH on KDOC-TV is Los Angeles’ only televised pro wrestling hour, 52 weeks a year. CWFH has been a mainstay on KDOC-TV for the past five years and has groomed many pro wrestling talents that appear in front of the camera and behind the scenes of network sports entertainment programming worldwide. CWFH originates monthly from the Oceanview Pavilion in Port Hueneme, CA the second and fourth Sunday, where admission is always free. KDOC-TV is a general entertainment broadcast channel serving the Los Angeles television market. KDOC-TV is available over the air on channel 56.1 and all cable providers including Dish Network and Direct TV. CWFH also airs Friday’s at 12AM KYES-TV in Anchorage, AK and nationally across the country on Youtoo America. To see if your cable provider carries Youtoo America please visit www.hollywoodwrestling.com/television. If CWFH isn’t available in your area you can still watch the program online by subscription at www.patreon.com/unitedwrestling. For more information on CWFH please visit www.hollywoodwrestling.com and follow us @CWFHollywood on Instagram and Twitter. Championship Wrestling from Hollywood’s (CWFH) 3rd Annual “Red Carpet Rumble” (RCR) event happens this Sunday July 12th at 3PM from the Oceanview Pavilion in Port Hueneme, CA and features an All-Star Cast of pro wrestling legends, United Wrestling Network regional stars and CWFH mainstays. Also scheduled to appear: Jervis Cottonbelly, Vermin, “The Franchise” Shane Douglas, Road Warrior Animal, Mason Ryan, Othello, Michael Tarver, “The Taskmaster” Kevin Sullivan and many more! Watch CWFH, Sunday mornings at 3A on KDOC-TV (Los Angeles); follow us on Twitter and Instagram @CWFHollywood. The Oceanview Pavilion is located at 575 Surfside Dr, Port Hueneme, CA 93041 and can be contacted by calling (805) 986-4818. Talent and acts subject to change without notice and due to *third party contractual obligations, some matches will not be televised. Hollywood Heritage Champion YUMA and one half of the Hollywood Heritage Tag Team Champions Joey Ryan of Vermin kicked off this week’s episode of Championship Wrestling From Hollywood with an interview with Grant Baciocco and revealed that the contract for the night’s main event CWFH TV Title match against champion Scorpio Sky didn’t specify which member of Vermin would get the title shot! Since Kevin Martenson was the lone member of Vermin to not currently have a title, YUMA decided he would get the shot for the TV title in the main event! In a battle between arguably two of the most gifted athletes in all of professional wrestling, Scorpio and Martenson battled back and forth in a main event that will be talked about for months. Without Christian Cole in his corner, Scorpio had to deal with Vermin alone and was almost put away by a brain buster after fending off interference from the Hollywood Heritage Champion YUMA. After showing the heart of champion to fight through it, Martenson used the help of the middle rope to score a three count and capture the CWFH Television Title. With Vermin now controlling all the titles, what’s next for Championship Wrestling From Hollywood?! To watch this episode of Championship Wrestling From Hollywood, head to http://www.patreon.com/UnitedWrestling. CWFH: Nationwide on Youtoo America Saturday Nights! 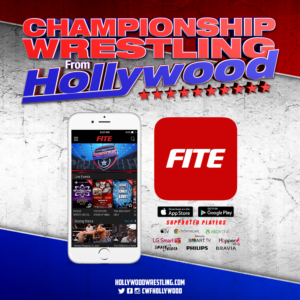 CHAMPIONSHIP WRESTLING FROM HOLLYWOOD EXPANDS TO YOUTOO AMERICA! Hollywood, CA – United Wrestling Network (United) is pleased to announce its flagship broadcast Championship Wrestling from Hollywood (CWFH) has entered into a distribution agreement with Youtoo America! 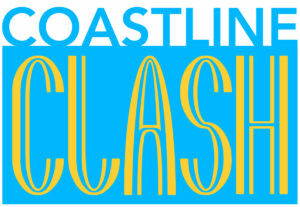 The weekly television broadcast will begin its run on the channel Saturday, April 4th at 12:00am EST/9:00pm PST. Youtoo America is available on all Time Warner and select Comcast cable systems. “Our new relationship with Youtoo America is going to allow 26.7 million television households access to our programming. Over the last 5 years (and 200+ hours of original shows) we’ve proven that traditional pro wrestling television still works. We’ve been able to tell epic stories involving Colt Cabana and Adam Pearce. As well as develop and introduce powerhouse talents like Scorpio Sky, Hobo, Shaun Ricker, Willie Mack, Joey Ryan, RockNES Monsters and scores more to a savvy fan base! I encourage all fans of pro wrestling to seek out Youtoo America, because if you’re not following our product, then you’re missing an exciting, fun pro wrestling hour’” said CWFH Executive Producer David Marquez. 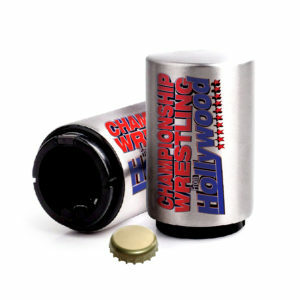 A complete listing of cable systems carrying Youtoo America will be posted on www.hollywoodwrestling.com soon. If you do not get Youtoo America in your area, you can subscribe to www.patreon.com/unitedwrestling for the same weekly CWFH episodes. CWFH will still air on KDOC-TV 56 in Los Angeles and KYES-TV 5 in Anchorage, AK.